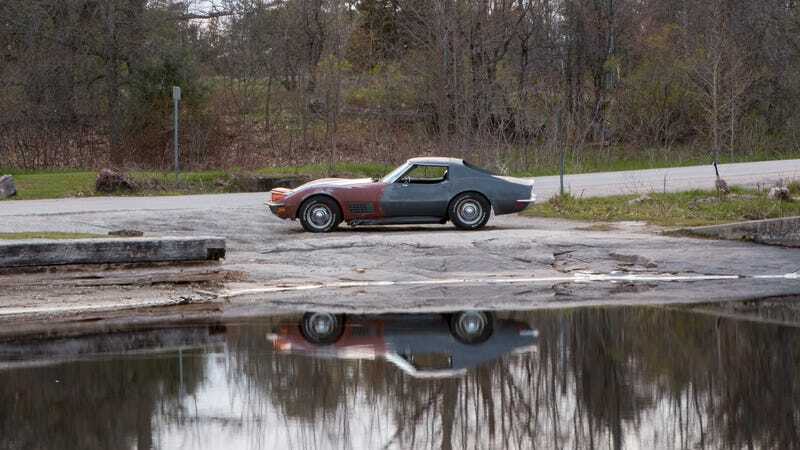 We drive the Corvette farther than it has ever gone and as usual, end up by the side of the road. Trailer is here if you haven’t already seen it yet. I also noticed that this photo has a Canada Goose in it if there was ever any doubt to our Canadian-ness.